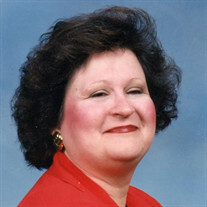 Nancy Lee (Goldizen) Ours, age 69, of Petersburg, WV went to be with her Lord on Thursday, August 24, 2017 at Winchester Medical Center, Winchester, VA.
She was born May 2, 1948 in Petersburg, WV and was a daughter of the late Kelly G. Goldizen and Elva Lee (Simpson) Goldizen. In addition to her parents, she was preceded in death by her sister, Donna (Goldizen) Carr. Nancy graduated from Petersburg High School in 1968. She had worked for the FBI in Washington, DC. She later worked for Grant Memorial Hospital in Petersburg for over 30 years. She was a member of Grove Street United Methodist Church and a member of the former Dorcas Homemakers Club. Nancy is survived by her husband of 44 years, Thad Ours, two sons, Tad (Holly) Ours of Petersburg, WV and Sheriff Brian W. (Felicity) Ours of Petersburg, WV; six grandchildren, Dalton, Kandace, Caden, Colson, Jace and Carlee Ours and granddaughter expected in November; one great granddaughter, Baylee Ours and another great grandchild expected in January; three brothers, Wayne (Sharon) Goldizen,Bill (Carolyn) Goldizen, and Jerry Goldizen all of Petersburg, WV; her stepmother, Linda (Kesner) Goldizen of Petersburg, WV and several nieces and nephews. Family will receive friends on Sunday, August 27, 2017 from 5 - 8 p.m. at the Schaeffer Funeral Home in Petersburg. Funeral service will be held on Monday, 1:00 p.m., August 28, 2017 at the Schaeffer Funeral Home with Rev. Larry Hakes and Rev. Craig Howard officiating. Interment will be in the Maple Hill Cemetery, Petersburg, WV. In lieu of flowers, memorials may be made to Grove Street United Methodist Church, 11 North Grove Street, Petersburg, WV or Petersburg Volunteer Fire Company , 49 South Main Street, Petersburg, WV 26847.